UFCW Local 770 member Rina Chavarria, who works in the rib conversion department at the Farmer John pork processing plant in Vernon, California, was recently featured in InStyle magazine for her efforts to organize and represent her coworkers as a union shop steward. 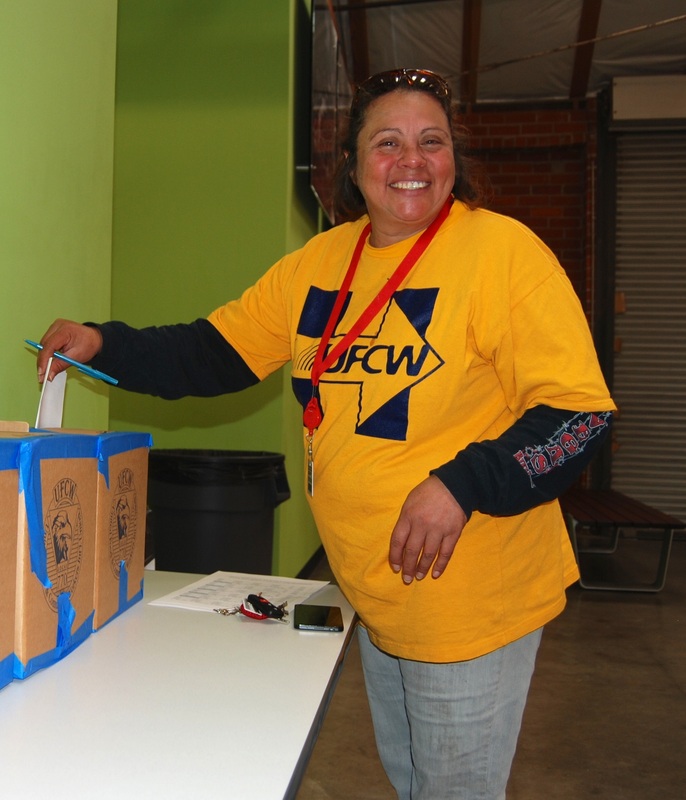 Chavarria has been a member of the UFCW Local 770 bargaining committee since 2016 when she was actively engaged in contract negotiations. Last year, she became a shop steward at the plant, where she has worked for five years. She was also involved in the bargaining sessions of 2018 when union members won a union contract that included wage increases, affordable health care, union security, workplace protections and other benefits. Last year, Chavarria completed a three-day health and safety training and also represented her local at the UFCW International’s packinghouse chain meeting in Nebraska. She is always eager to collaborate with her union to make sure her fellow workers at Farmer John have respect, dignity and a voice on the job.